I wrote this review of ITC Bodoni for Print magazine in their January/February 1995 issue. I recently stumbled across it online while teaching my History of Type class at the School of Visual Arts. It is posted on the Gale Group website under Gale Student Resources in Context. I have left the text as is, but have added some images since the Gale Group site has none. “Giambattista Bodoni’s type is perhaps the most majestic, most carefully constructed, and most carefully drawn in the 500-year history of typography. Never before have we been able to recreate his work with the accuracy and artistry it deserves. Perhaps now we can,” wrote Allan Haley of ITC (Giambattista Bodoni, International Typeface Corporation, 1991, p. 16). ITC’s dream, announced with much fanfare by Haley at the 1991 ATypI conference in Parma—Bodoni’s workplace—was going to be made possible by Adobe’s development of multiple master typefaces. The new technology would enable type designers to recreate the subtle optical scaling found in Bodoni’s massive output of types. The project was so important and daunting that ITC recruited a team to carry it out. The team, overseen by Ilene Strizver of ITC, consisted of Sumner Stone, Janice Prescott-Fishman, Holly Goldsmith, and Jim Parkinson. 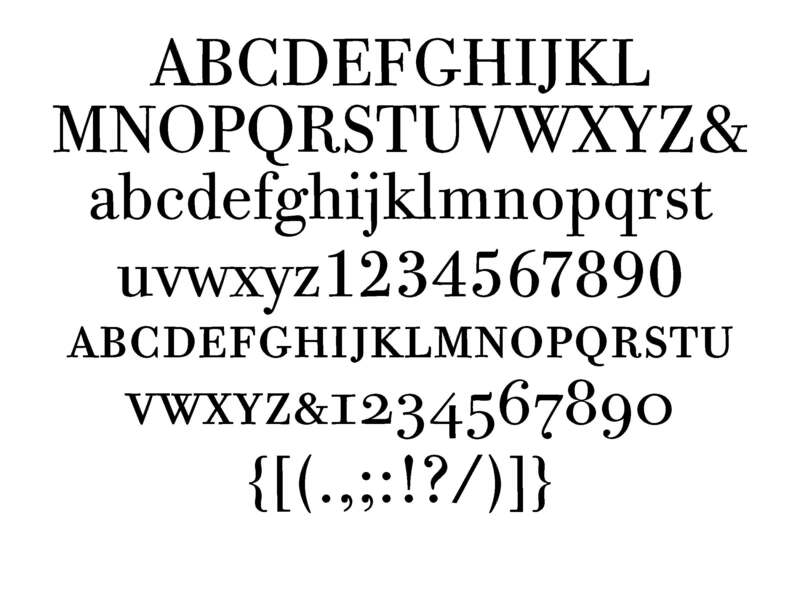 After the initial hoopla, nothing was heard about the project until the 1994 ATypI conference in San Francisco, where ITC gave birth to triplets: ITC Bodoni 6, ITC Bodoni 12, and ITC Bodoni 72. Surprisingly, none of them is a multiple master font. Yet ITC’s intent to provide optical scaling has been accomplished, even if on a reduced level. Clearly, ITC Bodoni 6 has been designed for reference, caption, and small text sizes; ITC Bodoni 12 for larger text sizes; and ITC Bodoni 72 for display or headline sizes. The use of three master sizes echoes the limited masters (6, 12, and 18 pt.) of the Monotype and Linotype photocomposition machines of the 1960s and 1970s. Why did ITC abandon the multiple master idea? Was it a desire to rush the face to market? Given the upheaval in the font market and the rapid decline in font prices, ITC may have needed to get as much return as possible on their investment. Perhaps ITC decided the great majority of font users were not ready for multiple masters. Or did ITC simply find multiple masters unsuitable to Bodoni’s subtleties, after all? In conversation, Sumner Stone acknowledged that all of these issues conspired to change the project’s focus. ITC’s jettisoning of the multiple master concept may be a letdown to typographic purists, but their three-face strategy successfully takes a careful middle path between the desires of expert typographers and designers and the needs of casual font users. Each of the team members worked on a different design. ITC Bodoni 6 roman was designed by Goldsmith, ITC Bodoni 6 italic by Parkinson, ITC Bodoni 72 roman by Fishman, and ITC Bodoni 72 italic by Stone. The remaining size, ITC Bodoni 12, was achieved through interpolation after some initial misgivings. “Everyone is skeptical about the success of the interpolation. The two sets of drawings seem so different. Remarkably, it works,” Stone wrote in U&lc (vol. 21, no. 2). The three variants are surprisingly cohesive despite the presence of so many chefs. Each of them includes small capitals and old style figures. Companion bold faces for all were created through interpolation. ITC, in both the pre-project keepsake and the post-project issue of U&lc, stressed the authority of their design. Both Stone and Haley emphasized the team’s research at the Museo Bodoniana in Parma and subsequent use of Bodoni’s Manuale Typograﬁco (1818) for guidance. From the outset, I have been skeptical of the thoroughness of ITC’s research. 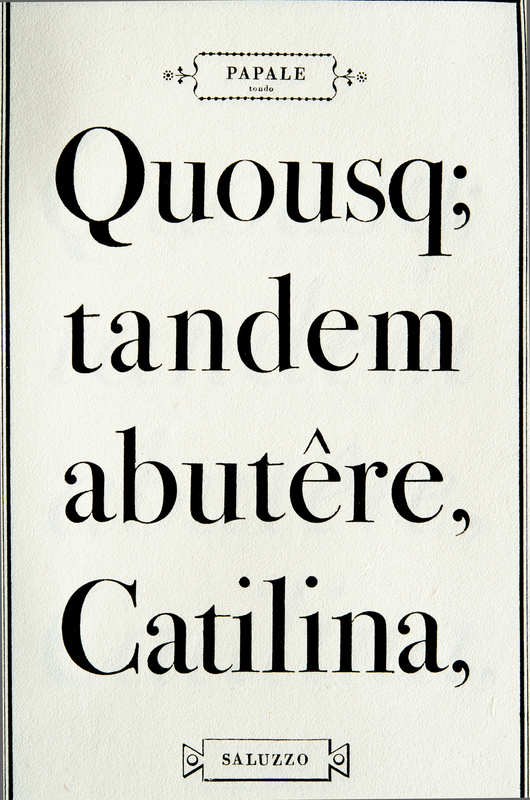 Bodoni was a proliﬁc punchcutter. A few days in the museum is barely enough time to scratch the surface of his accomplishments. The monumental Manuale contains 276 different types (and reputedly over 100,000 punches and matrices). 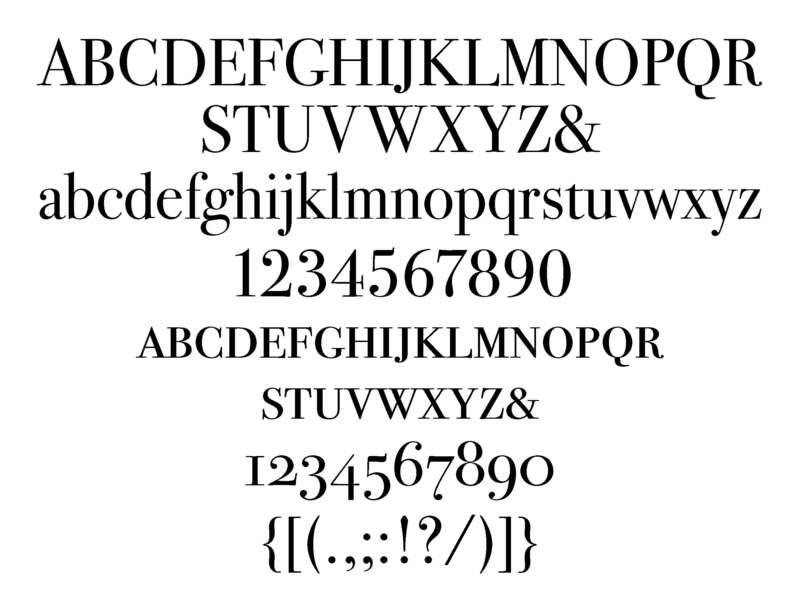 Although most of Bodoni’s punches and matrices have survived, the great majority have not been cataloged and thus are not available for examination. It is not surprising that the team quickly abandoned any idea of working directly from the punches. And although they photographed many for reference, they did no tracing. Instead, they drew from scratch, using the Manuale augmented by photographs of Bodoni’s printed books. However, the Manuale is an imperfect guide. Full alphabets are not shown at all, certainly not at the larger sizes. 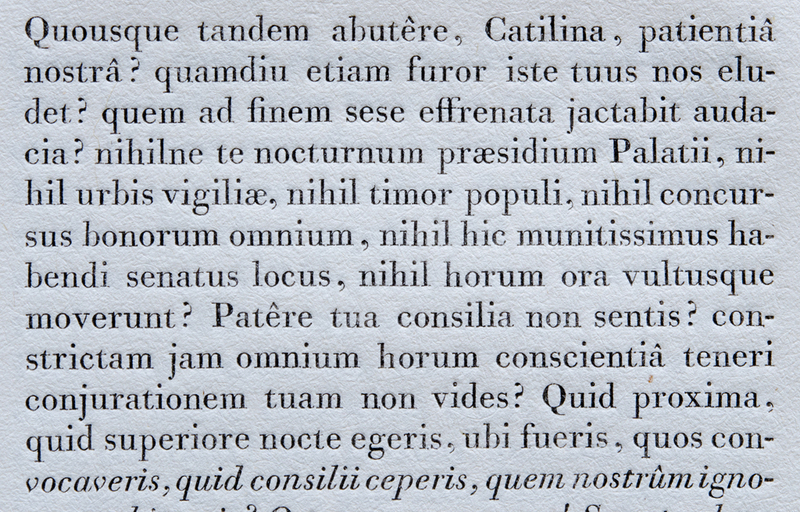 The Papale roman, for example, is represented by only two capitals and 13 lowercase letters. 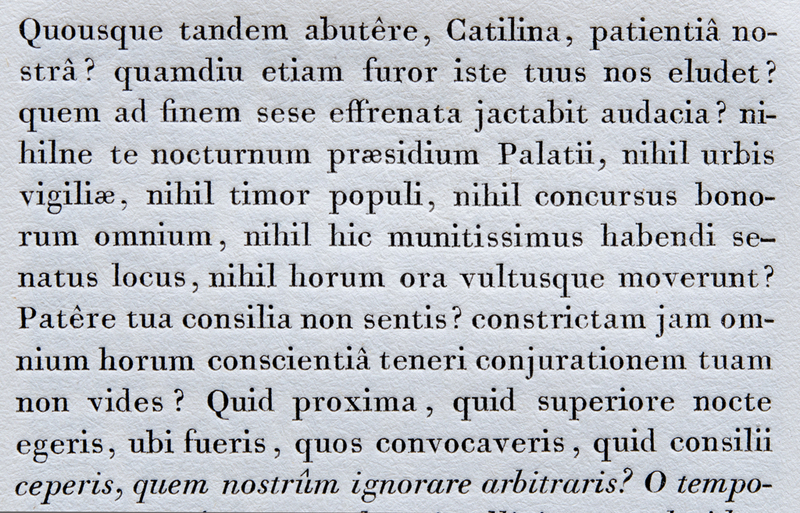 Detail of Filosoﬁa 10 (Bassano) from Bodoni’s Manuale Tipograﬁco (1818). Photograph courtesy of Riccardo Olocco. Papale tondo (Saluzzo) from Manuale Tipograﬁco (1818). Photograph courtesy of Riccardo Olocco. Imperiale corsivo (Tivoli) from Manuale Tipograﬁco (1818). Photograph courtesy of Riccardo Olocco. In the end, after all the research in Parma, ITC based only three of their designs on speciﬁc Bodoni faces: The no. 6 roman follows the Filosoﬁa 10 (Bassano), the no. 72 roman follows the Papale (Saluzzo), and the no. 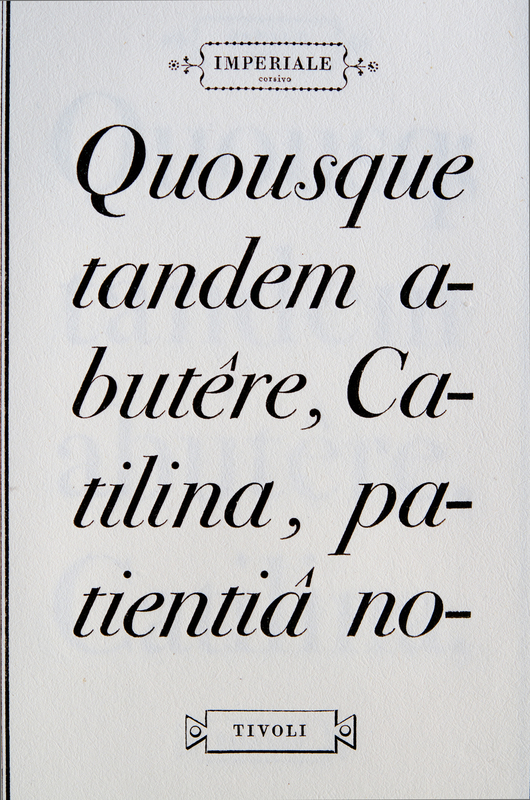 72 italic follows the Imperiale (Tivoli) italic, a face one size smaller than the Papale. 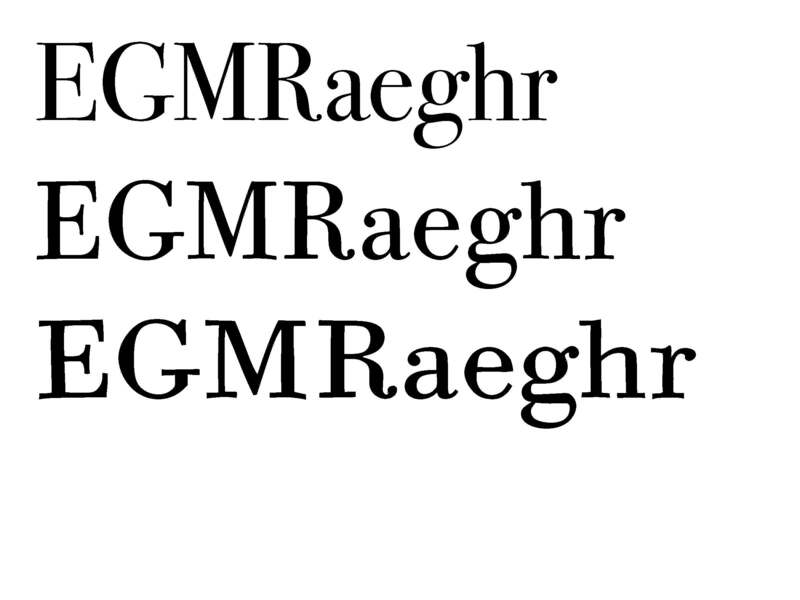 Parkinson’s companion italic was designed to match Goldsmith’s no. 6 roman without following any single model. The no. 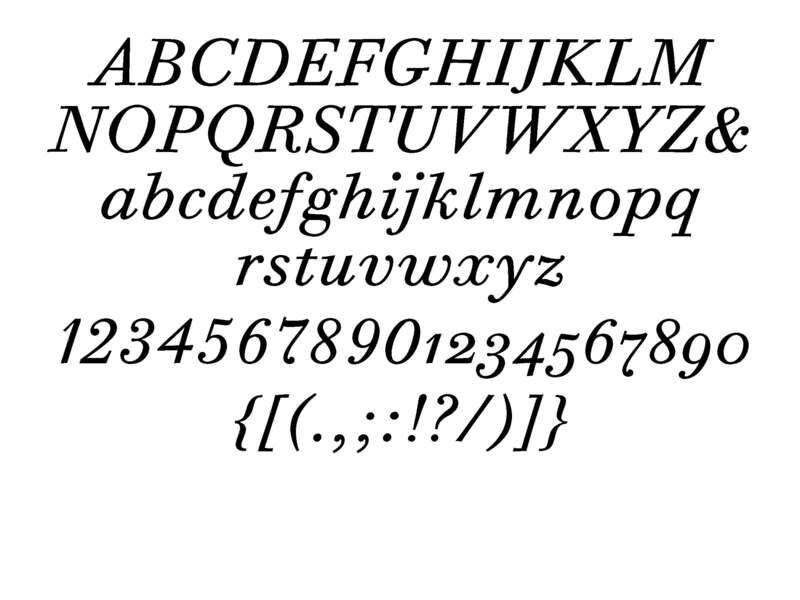 2 font and all of the bold weights were created by interpolation. 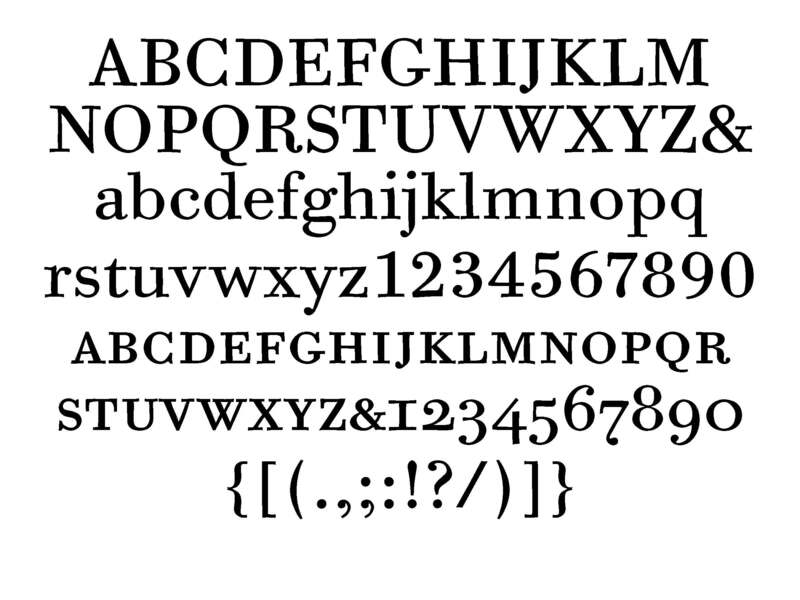 Given ITC’s desire to create an authentic Bodoni, the decision to interpolate the no. 12 font is puzzling. There is certainly no lack of models. A casual look at the 1818 Manuale turns up several excellent candidates (e.g., Soprasilvio 8 [Loreto], Testo 4 [Rimini], or Parangone 7 [Faenza])*. Despite all of this, ITC Bodoni is quite faithful to Bodoni. 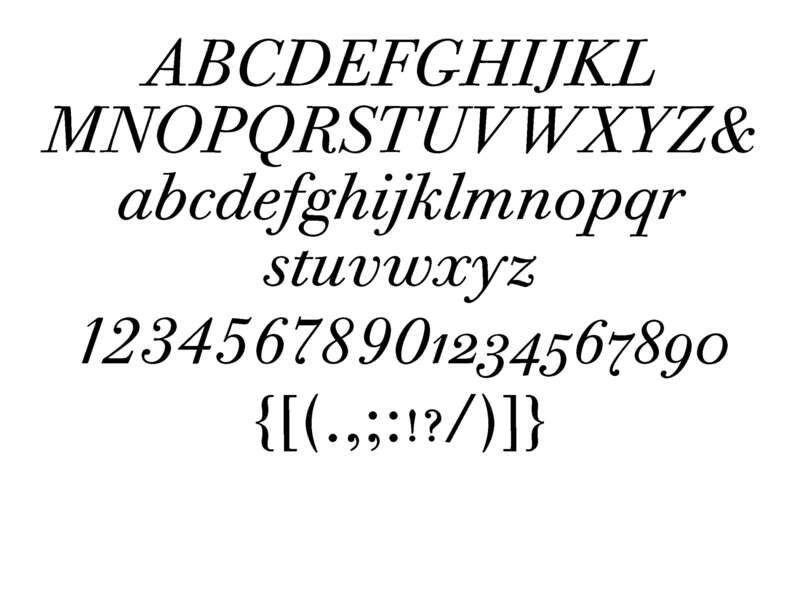 All of the fonts deliberately avoid the overly rigid and geometrically precise lines of many modern Bodonis, even going so far as to include the capital R with the ball terminal on the leg and the curly italic lower-case s. Overall, ITC’s Bodoni may not live up to its original hype, but it is still a signiﬁcant move in the right direction. Detail of Filosoﬁa 3 (Siena) from Manuale Tipograﬁco. Photograph courtesy of Riccardo Olocco. The faces are worthy additions to a typographer’s repertoire. ITC’s decision to abandon its straitjacket four-weight type family and stick to book and bold weights, though it may surprise many, is refreshing. It is a welcome sign that uniform type families may be a thing of the past. 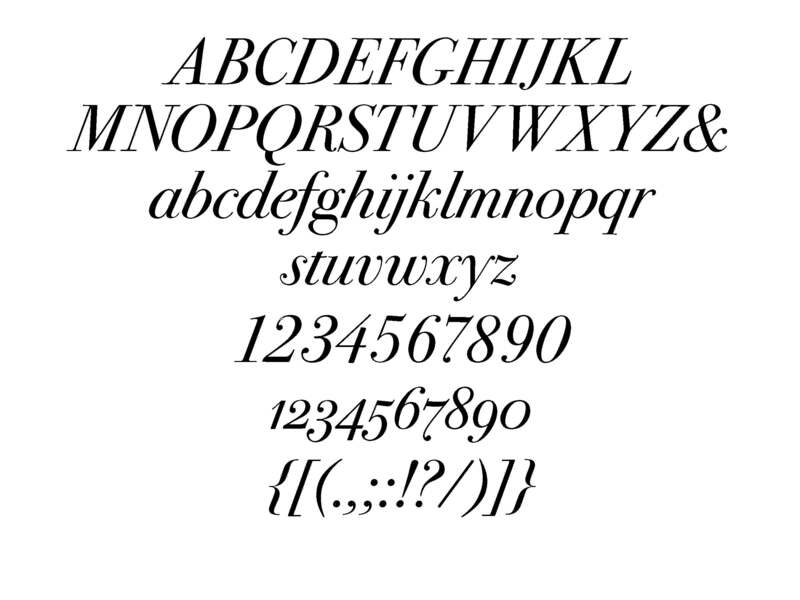 In light of ITC’s original goal of achieving a true Bodoni, it would have been nice if they had accompanied the font with a specimen book, similar to those for Adobe Originals, in which the original Bodoni sources are shown, the team’s design decisions are explained and illustrated, the new faces are compared to other contemporary versions, and ideal usage of the different designs are demonstrated. In a world of declining font prices, such a specimen book would have provided much-needed added value. Instead, ITC has included an illustrated “playing card” quickly summarizing Bodoni’s life. It is a tepid offering, symbolic of the scaled-down ambitions of the project. ITC Bodoni has a softness and warmth that will make it a better choice for text purposes than other existing Bodonis, with the exception of Berthold’s underappreciated Bodoni Old Face. However, for large sizes, no. 72 is sharper than Bodoni Old Face and makes an interesting alternative to the elegant and wildly popular Bauer Bodoni. Despite these advantages, I suspect that many designers, having grown up with an image of Bodoni as the embodiment of crisp elegance, will cling to their existing ATF and Bauer versions. Bodoni Old Face has failed to make much of a dent in this dominance and this could be the fate of ITC Bodoni. I hope that is not the case. *or Filosoﬁa 3 (Siena) shown above.